A policeman, Ross Sylibus, is assigned to a unit on a Martian colony, to find that women are being murdered by a psychotic named D'anclaude. He is assigned a very unorthodox partner named Naomi Armitage, who seems to have links to the victims. To stir things up more, every victim is found to be an illegally made third-generation android, built to be almost perfect replications of humans. It becomes a race against time when the government attempts to cover up the existence of the 'Third Types', and eliminate the only ones with the evidence. And even more importantly, why are the Thirds created to be so similar to humans, even to the extent of being indistinguishable from them on every level, mentally and biologically? I am a relative newcomer to Anime having only seen about 9 or so feature length films and episodes from about 6 different TV shows. Someone recommended Armitage I'm glad I saw it. Although not as popular as Ghost in the Shell or Akira it is the best I've seen after those two. Like most anime Armitage is set in the near future. In this case probably about 2050, on Mars. The plot is a little more developed then some anime but again, not as good as Ghost in the Shell although that may come from being put together from a miniseries with some scenes removed. Someday I?ll have to see the original four episodes. Armitage has a great sound track that goes well with the animation and plot. Visually it is average, not as nice as Ghost, or Akira but better than Dragonball Z or Titan AE. This movie is one of the coolest I have seen and is much better then the average american show or movie, (which isn't hard nowadays) and has an awesome storyline and plot. Overall I'll give this movie a 9 and a half. Look for the movie Fatal Fury also. 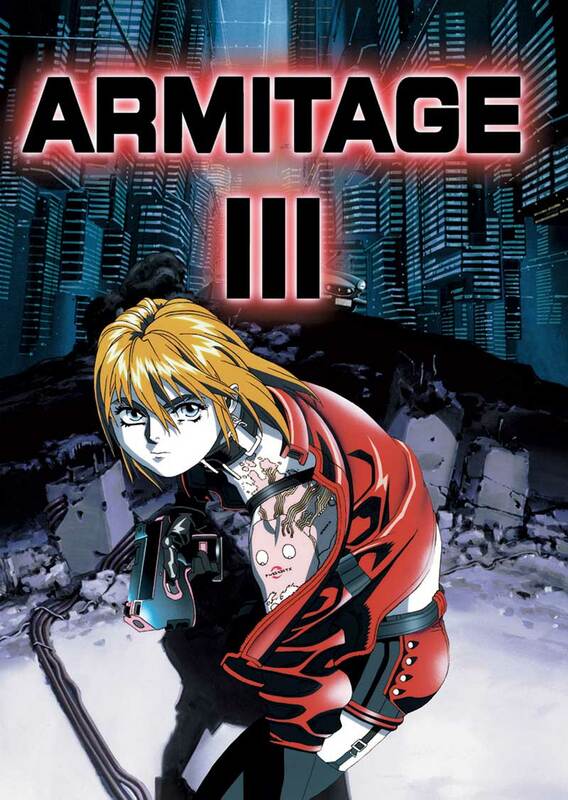 (The only one I like more) Very successful video production "ARMITAGE III" was originally released as a four-part OVA series. The series was heavily cut and edited for the later theatrical release. But there were also other reshot scenes added, which are only seen in the theatrical version.